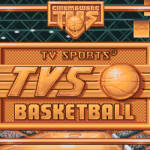 While I wasn’t aware of TV Sports Basketball back in the day, Cinemaware was too prominent for it to be considered obscure. Cinemaware originally developed games inspired by classic movie genres – hence their name – but by the late 80s, they began to expand their library with sports games, published under a line titled TV Sports. The big four US sports were represented with TV Sports Football, TV Sports Baseball, TV Sports Hockey, and TV Sports Basketball, along with TV Sports Boxing. Amiga was undoubtedly Cinemaware’s primary platform, but most of their games, including the TV Sports titles, received ports for other home computer systems and consoles. One of the reasons Cinemaware favoured the Amiga was that it was one of the most powerful home computers of the era. This allowed them to focus on producing games with graphics that were quite ahead of their time. That dedication to quality visuals, as well as other guiding principles such as gameplay that is easy to pick up, can be seen in TV Sports Basketball. 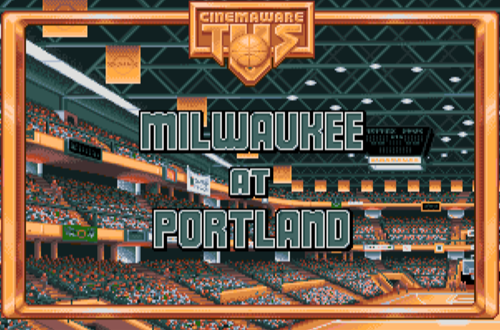 The graphics of both the Amiga and MS-DOS versions – both of which are playable in the Cinemaware Anthology – are noticeably far better than a lot of other basketball games from the same era. Players are relatively detailed, the colours are vibrant, and it’s fair to say that the hardware is pushed to its limits. Before you even begin to play, you’re greeted by some impressive presentation that lives up to the Cinemaware name and reputation. Overlays reminiscent of the NBA on CBS branding are displayed over an aerial shot of the arena, followed by credits and a one of a variety of humorous ads for a fictional sponsor. After a cutscene featuring the likewise fictional host Max McGill, there’s an interactive cutscene for the opening tip in which the user has to properly time their jump. Once gameplay begins, it takes place in the frontcourt from a vertical perspective. 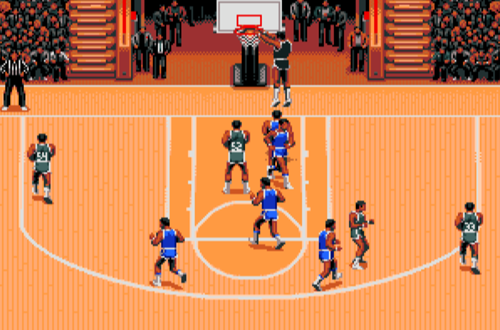 As the ball crosses halfcourt, another cutscene with the ballhandler and any other surrounding players plays out. Controls are very simple, as only one button is utilised for all functions. Tapping the button on offense passes the ball, with an indicator marking the designated recipient. The colour of the indicator informs you of whether or not a player is heavily guarded, similar to the mechanic in World League Basketball. Holding the button attempts a shot, with your position and movement determining whether it’s a jumpshot, hook, or one of a small variety of dunks. It also jumps for rebounds, switches on defense, tries for a steal when guarding the ballhandler, and attempts a block if an opponent is in the act of shooting. Such streamlined controls were quite common at the time. 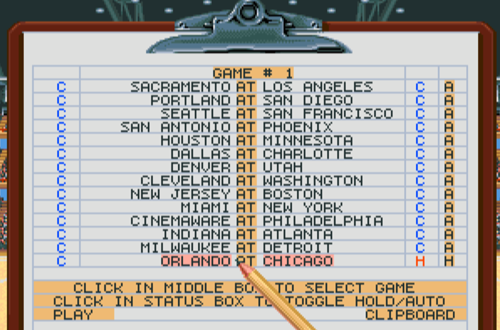 Although the teams in the game are based on the 27 NBA clubs of the 1990 season – plus a 28th Cinemaware team to balance the Eastern and Western divisions – the game isn’t licensed. Many of the fictional players are named after Cinemaware developers, but there are also amusing stand-ins, such as “Mike Jordache” on the Chicago team (though notably, he’s the one wearing number four rather than twenty-three). These teams and players can be renamed and used in league play, which also copies the NBA format. Stats are tracked, multiple teams can be user-controlled, and even the ratings can be modified. For a quick game, there’s always exhibition play. Needless to say, this is a surprising amount of depth and sophistication for a hoops game released in 1990. From its presentation to aspects such as player ratings and season play, TV Sports Basketball has quite a few simulation elements. Many of the customisation options are advanced, and player lock is somewhat unique. I can see it being a lot of fun in its day, but like a lot of sim-oriented sports games from that time, the gameplay doesn’t hold up too well now. The simplified controls feel very dated, and the pace is also an issue. It gets annoying seeing a cutscene play out every time you cross halfcourt, and the lack of a turbo button slows things down, too. Of course, a lack of nostalgia can actually be detrimental in properly appraising a game like this. Without memories of playing the game when it was new and cutting edge, it can be difficult to put it into appropriate context. I do think games such as Lakers vs Celtics flow better, even with the hard cut when crossing midcourt in the PC version. With that being said, I also think TV Sports Basketball was, in many ways, quite revolutionary and advanced. I believe I would’ve been impressed if I’d played it when it was new, both for the gameplay and all the options. As it stands, I can certainly appreciate TV Sports Basketball, but the gameplay is extremely dated. I also believe that the multiplayer experience would’ve been more fun. The AI is quite brutal, so playing against a friend would likely be far less frustrating. However, for all the aspects that haven’t aged well, I’m amazed at some of the features on offer in TV Sports Basketball. To have the depth of a fairly comprehensive season mode along with gameplay mechanics such as individual player ratings was very advanced. Player lock is a feature that wasn’t offered in a lot of games for some time. The quality of the graphics and TV-style presentation is impressive. It goes to show that such features in basketball games are older than we think. There were some creative minds back then! Indeed, it’s funny how recent games have built on concepts that TV Sports Basketball helped pioneer. Basketball gaming has become more and more about the multiplayer experience where you control just one player, something that could be achieved in TV Sports Basketball. We take the ability to customise rosters for league play for granted these days, but the games that followed TV Sports Basketball didn’t always have deep customisation options. Mimicking a real TV broadcast has become a staple of the way basketball games approach their presentation, but TV Sports Basketball was going above and beyond before a lot of other titles were putting in the same kind of effort. That’s what makes a game like TV Sports Basketball so special, and why it should be recognised for its place in basketball gaming history. You can have some fun messing around with it in the Cinemaware Anthology, but the aspects that haven’t aged well will lead to you tiring of it sooner rather than later. However, it’s impossible not to appreciate just how ahead of its time it was. 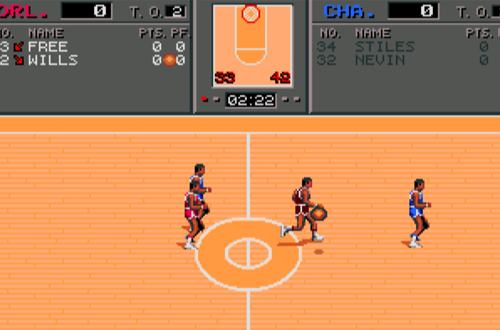 The graphics, the variety of dunking animations, options to play 2-on-2 up to 5-on-5, player lock, a season mode (albeit with only one save slot); the Amiga version even supported up to four players! In short, it had primitive forms of many features other games took a long time to add. I’ll admit that I was surprised by TV Sports Basketball. I had a quick look at the game when I bought the Anthology, with an eye to covering it in Wayback Wednesday at some point. My initial impressions were of a game that hadn’t aged well, and there is fairness in that. The more I looked into its features however, the more I appreciated its depth and creativity, especially for a game released in 1990. Without any nostalgia for it, I don’t see myself dusting it off to play too often, but it’s a reminder that innovative experiences on the virtual hardwood aren’t exclusive to EA, 2K, or Midway. For its place in the history of the genre, TV Sports Basketball is a game worth remembering.